As I read this memoir of an Australian soldier’s experience in Iraq and Afghanistan, I have the slow and steady impression that this is a different, and specifically modern, kind of war story. While Callender’s account makes it clear that being at war is made up of extremes, intensity, and adrenaline in the moment, the focus is on the aftermath of an attack, the post-traumatic condition, and the often lethargic bureaucratic processes surrounding the day-to-day of the occupying forces in the Middle East. In this way, After the Blast is about the moments and spaces in between, leading up to, and after the action. Upon deployment, Callender writes, ‘We went to war like so many soldiers of my generation – by commercial air travel.’ Towards the end of his account, Callender describes cases of post-traumatic stress disorders: from those in charge who bear the weight of their decisions so heavily, and those not physically injured at the time of a blast, but whose wounds endure far beyond the end of their military service. Callender’s prose is colloquial yet articulate and nuanced, and his observations acute and canny. His account is divided into three parts, describing his three deployments, to Iraq in 2004 and 2006, and to Afghanistan in 2009. He is badly injured in an IED (Improvised Explosive Device) blast during his first deployment, but he volunteers again and again. In The Missing of the Somme, Geoff Dyer writes about war as a great fracturing event in cultures, history, and lives. Everything that happened before is so thoroughly and irrevocably cleaved from that which comes afterwards; our relationship to the time before is rendered untouchable and pure, like a memory of youth. The fracturing event of the long, protracted war in the Middle East is, for those living through it in the present era, a blast in ultra-slow motion. For most of us in Australia, this time immediately ‘after the blast’ will be characterised by the marked absence of effect, probably for a very long time. 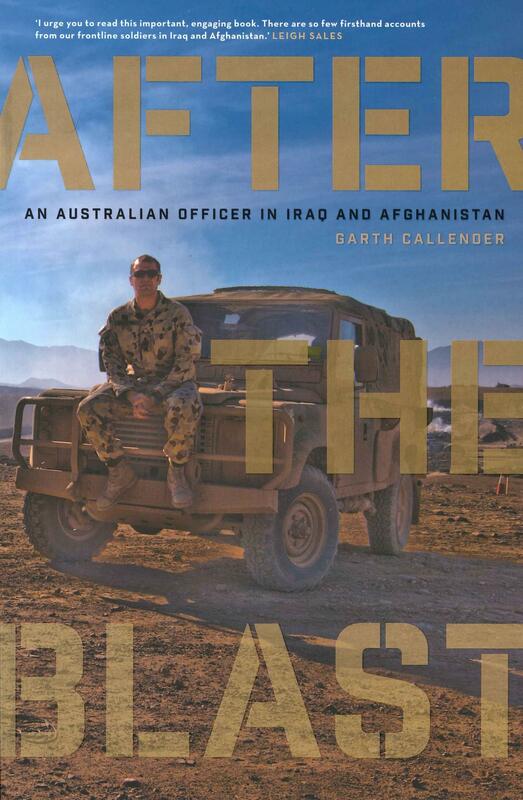 And that, I believe, is where Callender’s account comes in – it tells the story of Australian soldiers in Iraq and Afghanistan in a way that is real, relatable and, importantly, present. Amy Vuleta is the Assistant Manager at Readings St Kilda.